This wonderful technique takes a large scale patterned fabric and creates amazing designs! 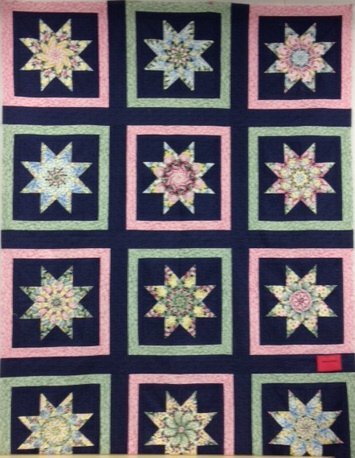 We will be doing the LeMoyne Star pattern, learning the stacking, the whacking, and the sewing. If you haven't learned this technique before, you'll be amazed at how you'll look at fabric differently! Please get supply list in advance of class.